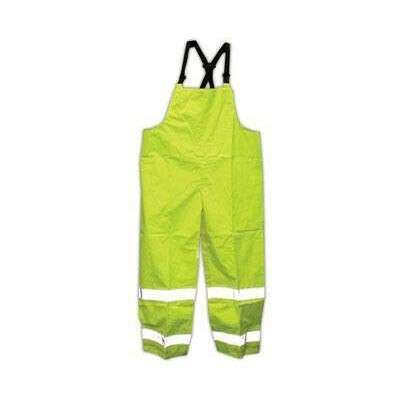 You are purchasing a pair of waterproof fishing bibs that are great for commercial fishing trawlers and other heavy duty wet environments. We have several customer who use them in pressure washing, road construction, and other types of commercial cleanup. 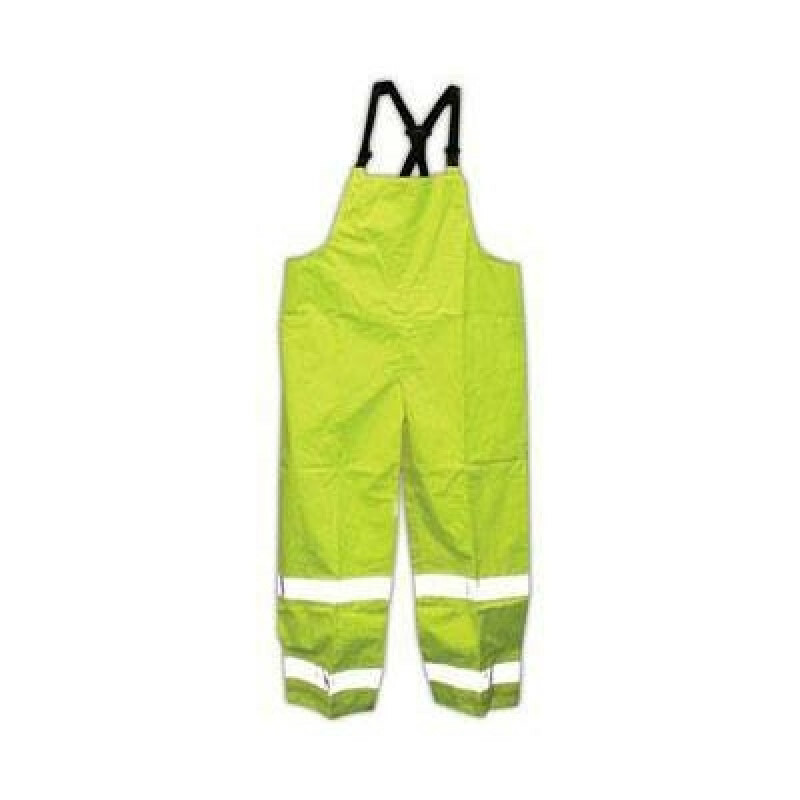 Basically anywhere you need to stay dry and be highly visible while you're out in the elements, is where these waterproof bibs will excel in protecting you. The durable waist ties and adjustable elastic suspenders with nylon slides and spreader bar allow you to adjust the bibs to personally fit you as snug as possible. We do have full waterproof suits available in our waterproof rain suits category. The most popular sellers in this area has been our yellow 3-piece PVC rain suit and our yellow heavy weight rain suit. Lime green waterproof & breathable fabric for all season comfort. Stitched and taped sealed seams for 100% waterproof protection against seepage and separation. Double bib design for longer, more durable wearing in any environment. Durable waist ties with easily adjustable elastic suspenders with nylon slides and spreader bar at back for a snug fit. 1 pair of bibs per case, available in S-5X. This is a review for the Commercial Waterproof Fishing Bibs.